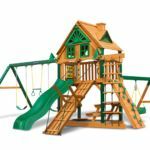 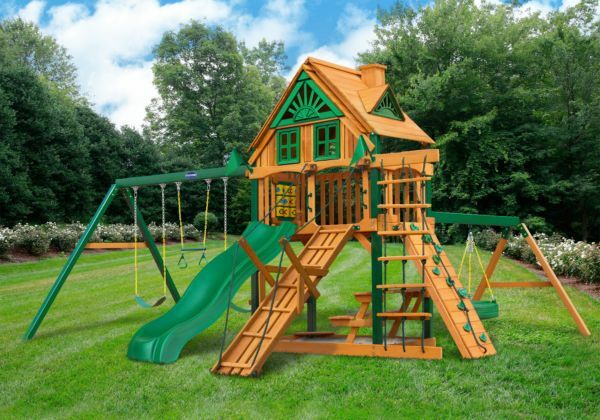 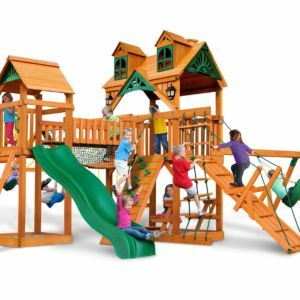 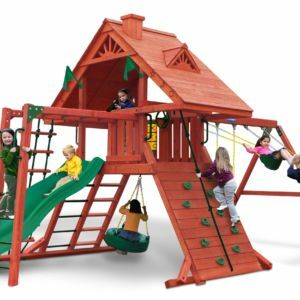 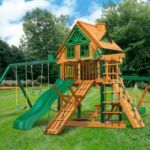 With the Horizon w/ Tire Swing, Ramp & Treehouse Roof w/ Fort Add-On, the fun never ends! 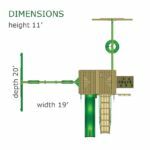 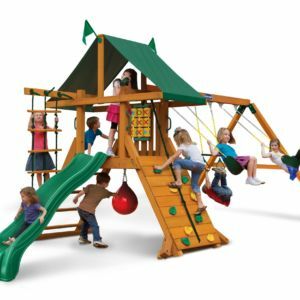 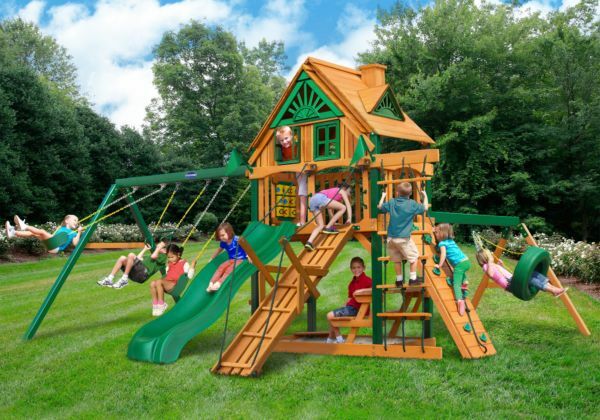 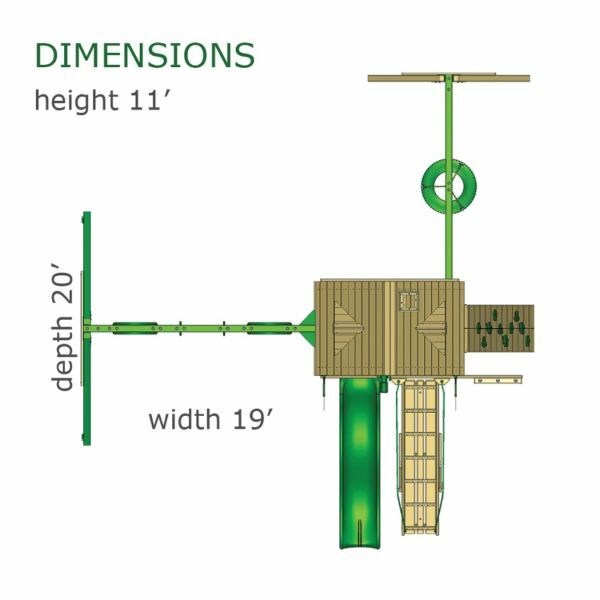 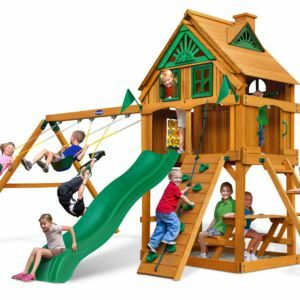 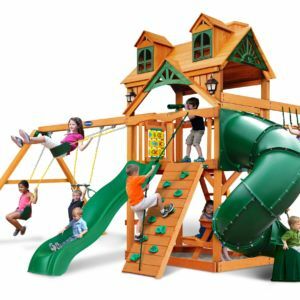 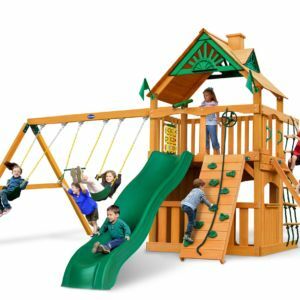 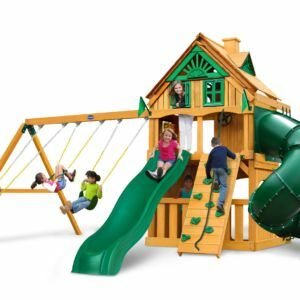 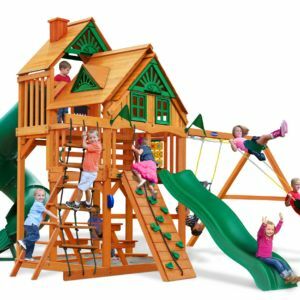 From its oversized deck, to the climbing ramp and 360° Turbo Tire Swing™, it will keep the kids busy playing all day long! 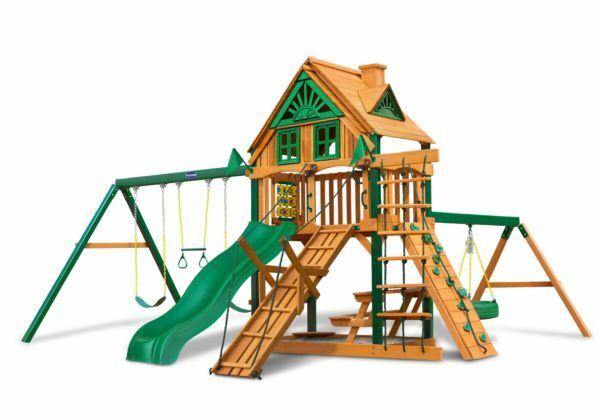 vailable with a Tongue & Groove Wood Roof featuring dormers and a chimney and an upper level Treehouse with working shutters and a sunburst.